A pair of delicate flute glasses. 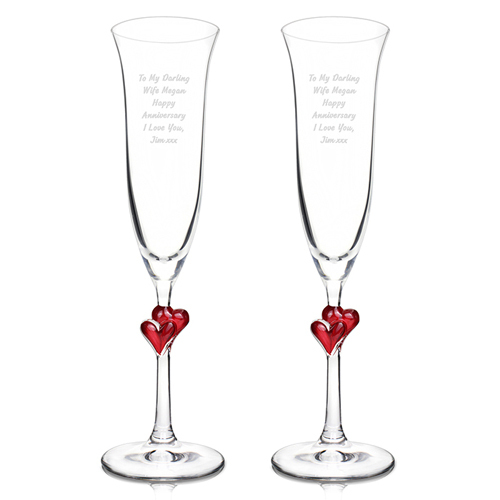 These stunning heart stem flutes a truly special gift to celebrate that special occasion! The flutes feature a superbly crafter red heart stem making it a great gift. Personalise this pair of flutes with any message over 6 lines per and 15 characters per line.